This purchase is for a pack of 10 charms. (Bottlecap necklace is just an example for using them. See my complete bottlecap necklace kits with charms on other listings). Choose your design or mix. Hope, Love, Heart, and scriptures. Five styles to choose from. 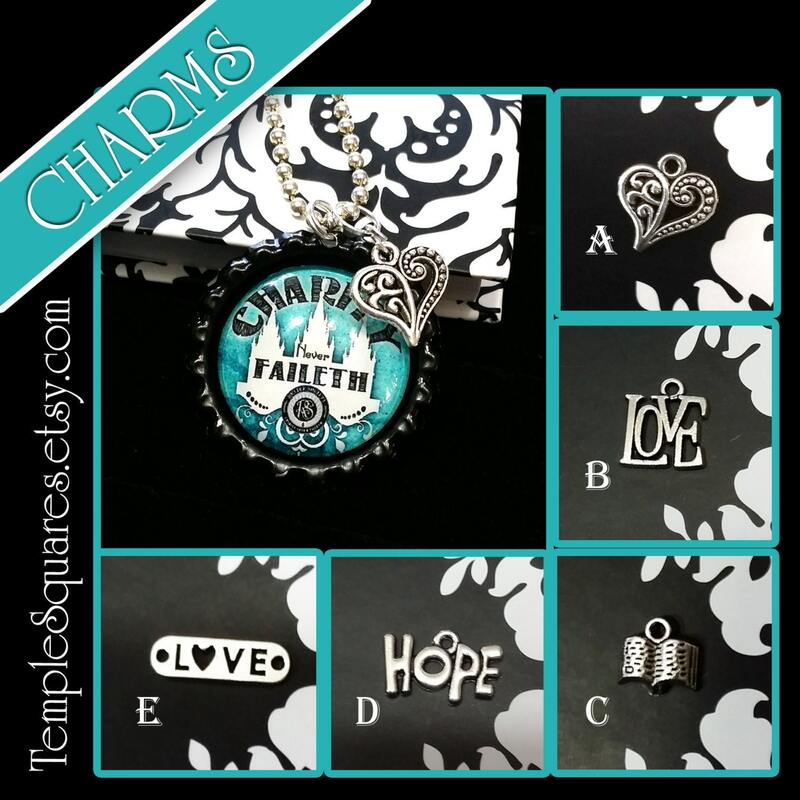 Great charms for YW DIY crafts. Use for Young Women activities, crafts, birthday gifts, secret sister gifts, crafts, pedants, bracelets, necklaces, girls camp beads or Youth Conference. Great for Relief Society: Super Saturday, Make and Take, gifts for Visiting Teaching or Birthdays. Embellish almost anything!